Okay, suggesting that the following movies are "about Thanksgiving" is a bit of a stretch. Yet, each of the following movies is centered, story wise, around the holiday of Thanksgiving, and while some of these, okay,err... couple of them probably aren't the perfect fodder for the family to watch this year snuggled up on the sofa in that Tryptophan-coma, these are , none the less, all great movies for a varied degree of reasons. Perhaps you're on the edge of passing out from eating too many slices of Pumpkin Pie, or perhaps you've had one too many glasses of wine--these Thanksgiving movies are still quite essential to one's holiday experience. 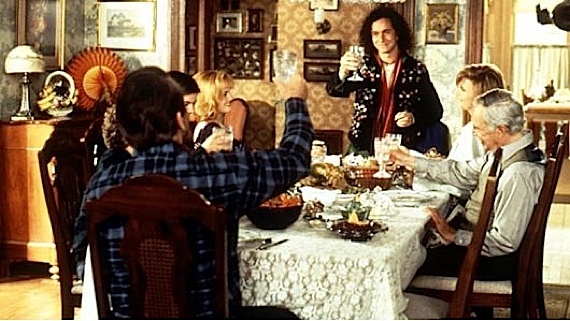 There is something for everyone here in our list of Top 5 Movies about Thanksgiving, heck, many of these are likely streaming on Netflix or other VOD services at this very instant simply because it is close to Thanksgiving and they have a Thanksgiving theme. So, why not? Check them out! For sure, not one of those movies you want to put on the big screen after having all just walked away from the dinner table, full of turkey and a day of football, but ThanksKilling might be the movie that you watch late-at-night, after your family has either left for the night or went to sleep. 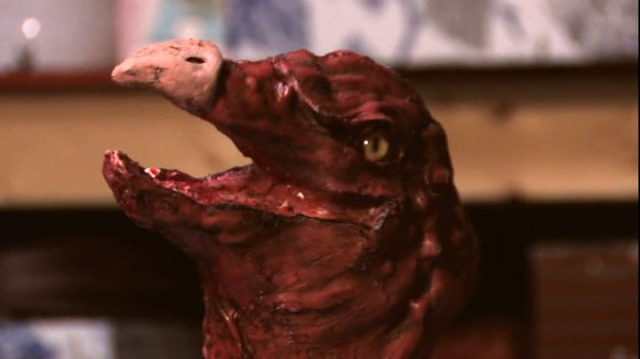 As the film, a independent masterpiece, made for little money in the Midwest is a slapstick horror comedy centered around a killer turkey who goes on a killing spree. It's outrageously stupid, funny, slightly bloody and booby. The killer turkey has a God complex, is always snarky and condescending and is full of tricks--which he uses to outsmart a local sheriff who's out to investigate all of the murders that the turkey is committing! Who doesn't love themselves some Pauly Shore? Just when you thought you'd had your fill of the "Da Weasel"---he returns in Son in Law. Shore plays a mentor of a college girl in the big city, who when learning that he has no place to go for Thanksgiving, invites him to her families on the rural farm in the deep Mid-West. Hi-jinks ensue and Shore, as a free-spirited, quasi-hippy college monitor is tasked with doing chores on the farm and acclimating with the farm folks. It's ultimately a very funny movie, and truly, the last of the great Pauly Shore movies before he descended into Shore-exploitation with In The Army Now and Bio-Dome. 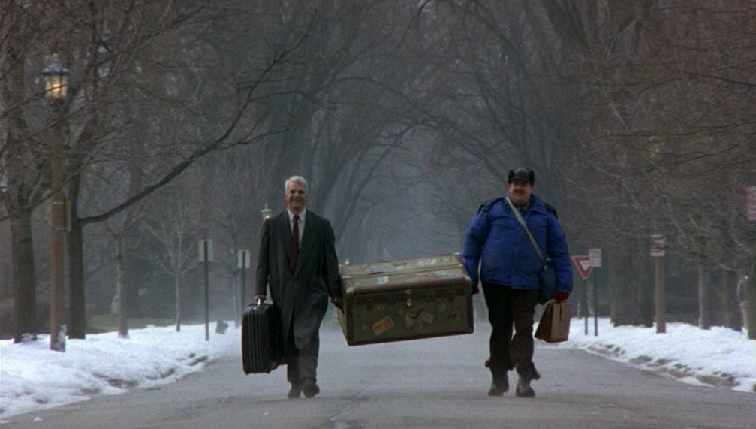 Written and directed by John Hughes, the man behind such 1980s classics as Sixteen Candles and The Breakfast Club, Planes, Trains & Automobiles stands right up there next to What About Bob? as one of the most difficult 1980's almost-arthouse comedies ever made. As if there were many arthouse comedies made in the '80s? Both films, were not as well-received in the 1980s by big audience as others, and it is only, now, some 25 years later that they are considered classics amongst the genre. Steve Martin plays Neal Page, a guy who is trying to make it home to his wife for Thanksgiving. But it just isn't in the cards for him it seems, as his flight is re-routed, and he's forced to take up with a stranger for the night. What follows is the two of them getting on each others nerves as they try to make their way home for the holiday. Probably another film that you wouldn't want to gather the family up to watch after a big meal! Based on a novel by Rick Moody and directed by Ang Lee, The Ice Storm looks at 1970s suburban life which features wife-swapping and the sexual hysterics of our neighbors. Tensions build in this modern arthouse classic unraveling during a big ice storm which results in the death of one of the characters. A new classic! 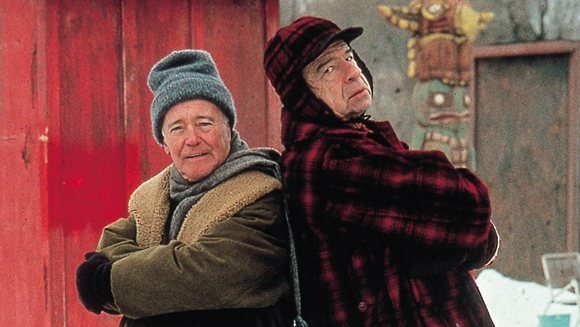 Grumpy Old Men starring long time friends and co-stars Jack Lemmon and Walter Matthau highlights a neighborly-feud between two men, who grew up as best friends. Lemmon and Matthau are infectious as rivals and the film is centered around the Thanksgiving holiday.